A tummy tuck is a surgical procedure designed to remove excess tissue from the lower abdomen and tighten weakened abdominal muscles. This procedure is particularly helpful for women who suffer from abdominal laxity, muscle separation, and fat accumulation after experiencing multiple pregnancies. Tummy tuck surgery is often performed in conjunction with liposuction to produce the desired body contouring result. Dr. Stuart Linder in Beverly Hills, is a specialist in body sculpting procedures, including tummy tuck surgery. Dr. Linder is a specialist in body sculpting procedures, including tummy tuck surgery, and provides exemplary care to each of his patients to ensure a comfortable surgical experience. Each tummy tuck is entirely customizable to address the patient’s individual aesthetic goals and achieve the pleasing figure they desire. Pregnancy and extreme weight loss can be positive life accomplishments, but they often lead to unsatisfactory skin laxity. Once the skin is stretched and elasticity is compromised, the only solution for a tighter surface is surgery. Tummy tuck surgery restores youthful and attractive abdominal contours for a slimmer, more sculpted physique. During pregnancy or after significant weight fluctuations, many patients experience the weakening or separation of the rectus muscles. Damage to the abdominal wall can cause the belly to protrude or bulge and usually cannot be corrected with exercise. A tummy tuck involves the tightening of the rectus for a corseted effect that creates a shapely and slender silhouette. Patients who struggle with stubborn fat deposits that are resistant to diet and exercise can benefit from tummy tuck surgery. During a tummy tuck procedure, excess fatty tissue can be trimmed along with folds of loose skin. Liposuction can also be performed to eliminate localized fat for additional body contouring benefits. Candidates: The mini tummy tuck is ideal for patients who have considerable skin laxity that falls below the navel. Incision: A single incision is created along the public line through which excess skin is removed and lower rectus muscles are tightened. Candidates: Ideal candidates for a modified tummy tuck have experienced significant weight loss or multiple pregnancies that caused pronounced stretching of the abdominal skin. Incision: This approach is closer to a traditional tummy tuck in that the incision is placed from hip to hip, which allows for more extensive correction than a mini. Candidates: The extended tummy tuck is for patients who have achieved massive weight loss, either by using traditional at-home methods or undergoing weight loss surgery. Incision: This technique involves a longer incision that may extend out to the sides of the hips. Candidates: A belt tummy tuck is reserved for patients who have achieved massive weight loss that resulted in folds of excess skin around the midsection, hips, and back or buttock area. Incision: A circumferential incision is made around the abdomen, through which an apron of tissue can be removed. If necessary, liposuction can be performed in conjunction with tummy tuck surgery to slim the hips and thighs. During this procedure, tiny incisions are created near the target area(s). A hollow tube or cannula is inserted through these incisions and moved through the fat using a back and forth motion to suction out unwanted fat evenly. Tummy tuck surgeries at Brighton Surgery Center are performed under general anesthesia with Board-Certified Anesthesiologist. Typically, laryngeal mask airways are used during this procedure. However, patients with a history of acid reflux or gastroesophageal disease are usually better candidates for endotracheal tube intubation. Preoperative: An intravenous antibiotic is administered to the patient. Surgery: The duration of the surgery will depend on which technique is being used. Recovery Room: Patients are required by federal law to stay in the recovery room for at least one hour for observation. Day 1 Postoperative Visit: Fluids are measured every six hours, and surgical dressings are removed or replaced. Week 1 to 3: Drainage tubes are removed as well as lower abdominal and umbilical sutures. Week 4: Results are photographed in-office. Patients can begin light exercise including aerobic and anaerobic activities. However, abdominal workouts must be avoided. Week 6: Patients can stop wearing the abdominal compression garment at this time. "Perfectionist: Exceptional expertise. Great for breast and tummy work. Natural looking results." "Thank you so much for the wonderful job you did with my tummy. I am so glad that I made the decision to fly out to get this done. You and your team, Adriana, Bree and Rebecca have been wonderful and great support throughout the entire time I have been here. I would recommend you to anyone looking for a great surgeon." 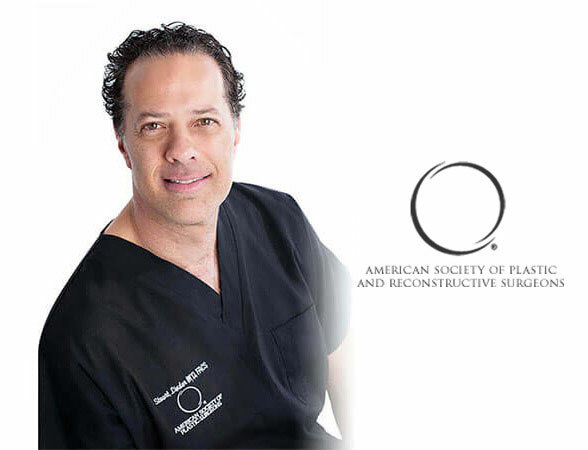 Is Dr. Linder board certified by The American Board of Plastic Surgery (ABPS)? Yes. There are absolutely no substitutes for board certification by the ABPS. Liposuction is ideal for patients with good skin elasticity who wish to eliminate unwanted fat. While it can be performed alone, it only addresses localized fat. A tummy tuck is a comprehensive approach to abdominal contouring in that it targets fat deposits as well as skin laxity and rectus muscle damage. The cost of tummy tuck surgery varies from patient to patient and includes surgeon’s fee, facility fees, and anesthesia fees. The extent of correction required and surgical techniques used are also factored into the price. You will receive a cost estimate for your unique procedure during your tummy tuck consultation. What types of medications will I be given after my tummy tuck surgery? The types of prescribed medications vary per case. For infection prevention, patients are given one of the following antibiotics: Ciprofloxacin or Keflex (not recommended for patients who are allergic to penicillin). For pain management, Dr. Linder may prescribe Norco or Vicodin. To prevent nausea and vomiting, Zofran is recommended.